If someone haven’t achieved success or reached their potential, others love to say that “they just don’t want it enough.” If only they truly cared, they say, they would obviously rise to the top, just like other people did. Now, sometimes that’s true. I just wrote a blog post on laziness, because it really does hold people back. But often times, the issue isn’t a lack of ambition: it’s a lack of direction. “I don’t think it’s fair to categorize everyone who lacks an education or job as “lacking ambition”. Why are we all not millionaire successful entrepreneurs? On this site, I don’t think it’s because we lack ambition. I think it’s more that there’s a path toward success (or technically, several paths), but it’s really easy to step off that path, and most of us have never been there before, don’t have a guide, and only have the fuzziest of maps. It’s the same with people lower down on the socioeconomic spectrum. Most don’t personally know anyone that has successfully jumped classes; they have no idea what this looks like, or what’s entailed, or if anything they do is on the right track. And so they make very subtle mistakes. You can see this a lot with the choice of institutions they go to and the fields they study. Popular articles – like the one posted here – simply say “Go to college and you’ll get a job.” So what many poor people do is they go to University of Phoenix and study Sports Medicine or something, and take on $200K of debt to do so. You and I know this is stupid – but that information never filters down to the people who need it. The mainstream articles just say “Go to college and you’ll get a job”, they never say which college, or what to study, or how to study, or what it feels like when you just don’t understand a concept but need to pass the final to graduate. I can give you a list of a couple dozen top colleges off the top of my head – but that’s because I’ve worked in elite institutions, and I know which schools my coworkers went to, and I have lots of friends in that social circle. For the average person, that list is “Harvard. MIT. Stanford”, and then if they don’t get into one of those, they have no idea what to choose. As I’ve always stressed here, willpower and desire are not sufficient conditions for success. I have plenty of people who claim they’re ready to change…but they never do. A lot of my readers want to earn more money. The problem is that “earning more money” is such an abstract goal that it’s practically impossible to pursue. If you’re serious about doing it (which, since you’re here, I assume you are) then you need more than the DESIRE to earn more. You need an actual process for doing it. In other words: you don’t need a Christmas list, you need a TO-DO list. Today, I want to give you a key piece of the puzzle: my 16-step roadmap to earning more, straight from the Earn1K course. This is a 1 page PDF document with a visual roadmap and explanations of the key steps on your quest to earn more. Instead of joining my Insider’s List, I’m trying something new: I’m going to ask that you tweet about today’s post. Once you do, you’ll get access to the 16-step roadmap that has helped thousands of my students know the roadmap for earning more. I’m getting the same error message and I have tried with 3 different browsers. That Hacker News comment was right on. I’ve seen the subtle underlying differences in mentality as I’ve grown up and moved through the different types of crowds, starting from my lower middle class high school to my middle to upper middle class college, to the Bay Area. Context makes a HUGE difference. There were a lot of smart kids from my childhood who ended up not doing much with their lives because they wasted their high school years partying and had negative mindsets about work. I get the same error Tony got. I get the same error when I try to download the PDF. Absolutely spot on. It pains me to see so many people not starting something because of a lack of direction or even because it’s not “big” enough. The same also applies to young married couples who try to appear as successful and wealthy as their parents when it took them over 30 years to attain. The result: a mountain of debt. Small beginnings should not be despised. I’m getting the error, too. But I went ahead and retweeted via my account. Same error message here too Ramit! Anything we can do to fix this? Love this post, Ramit. It is incredibly timely for me right now. I’m finding I keep falling into the same old ruts, with the same people. Am working on getting out of the comfort zone and meeting new folks that want to do better/different/live up to the potential/etc. Thanks.. Some great points in the post. I’ve spent a LOT of time trying to figure this one out over the last couple of years. Trying to find the intersection of a) what I’m good at and b) what I love doing and c) what people will pay me for. I recently read the book ‘The Element’ by the educationalist Ken Robinson (he’s got a great talk on TED.com.) It seems finding your element is important not just for enjoying your work, but for enjoying life and increasing self esteem as well. I guess experimentation is the only way to really sort out how to do something you enjoy, are good at and pays well. A few more pointers in this direction would be great though! Add to this the “I want to do SOMETHING… but I’m trying to do everything and it’s not working” scenario. Personally I used to spread myself too thin because I was chasing “the dream” so hard and in so many directions that it was ridiculous. As soon as I started focusing on just a few (or even just one for a while) I have seen some success. 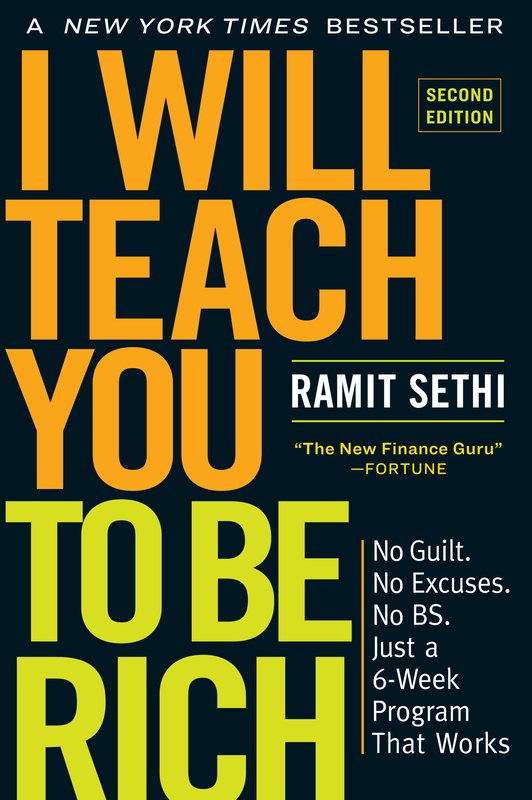 Just another thing to think about, don’t skips the “Decide what NOT to do” step in Ramit’s graphic. good looking flowchart there. you are very right in that most people need a plan, a tune to march to. there are some who manage to put it together themselves, and they often end up teaching their systems to others once they have perfected it. that’s why there will always be leaders, teachers, gurus, mentors and the likes, and then followers (the masses). Stop giving away all this stuff for free! It’s like you want people to be able to succeed without paying anything or something. The secrets to success should be kept in the Holy of Holies where only you, Guy Kawasaki, Tony Robbins, and Tim Ferriss can gaze upon it! The sad thing is that even with this great tool being given away for free, most people will still find reasons not to use it and will spend another day not getting out there and doing what it takes to achieve. Scary thought: for people whose social circles don’t include “successful” role models who are able to show them the path(s) to success, it’s totally not obvious that they may not be on the right track. i.e. they don’t know what they don’t know. If (apparently) nothing is wrong, then there’s no desire to seek out people who do know the correct path(s) to success. This invisible limitation is so dangerous because it exerts a powerful yet unnoticeable barrier to performance. You just keep on doing what you’ve been doing, however ineffective it may be, unless and until you take the wrong step, encounter massive failure, and then live to ask WHY. Once you become conscious of this invisible limitation, or better yet able to articulate its existence and effects, you develop an intense desire to overcome it. At this stage, you’ll probably feel foolish for not noticing this sooner, which is now so obvious, and hopelessly behind because you’ve lived under limitation for long while the successful people took it for granted. Then comes the intense desire to connect with the role models who have succeed at what you want to do and have the knowledge that can improve your situation. But how do you find these people? Why would they help you? What other invisible limitations out there are holding you back? The massive failure that caused you to ask WHY was only the beginning. It has shown you this invisible limitation and given you the chance to become more successful than you could before, but at the cost of possibly becoming a bigger loser than you were before because you can NEVER go back to the way you were. And so the long road to success (or not) begins and you’ve got to put down more or less every brick in this road by yourself. So yes, the path to success is hard because few people realize that their current path is riddled with potholes and still fewer can build their own. Scary thing is: none of this happens until you recognize your invisible limitations, and that does not happen without (A) massive failure and a desire to know WHY (act of God + a thinking mind) or (B) outside intervention (this blog). Well put, antaresprime (whatever that screen name means)! Ramit, you are mising the two “f”s in “Offer” under Module 2. At least, that is what I currently see in the PDF I downloaded. Just thought you should know.